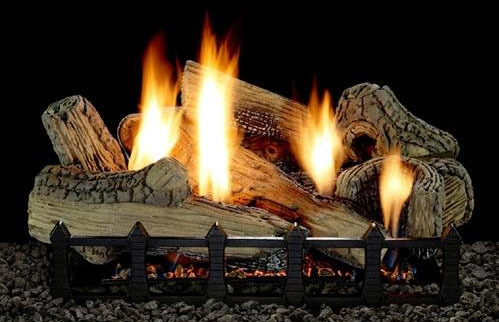 Our Harmony Burner serves as the basis for our premium line of meaty, massive log sets - the Wildwood and Canyon. Special baffles within the burner induce movement in the flow of gas to accentuate the naturally flickering flames. Expanded ember bed models add another inch of glowing embers at the front of the fireplace.